Just because the Croatian capital city of Zagreb is compact in size it doesn’t mean that you have limited recreational options available. The opposite is true. 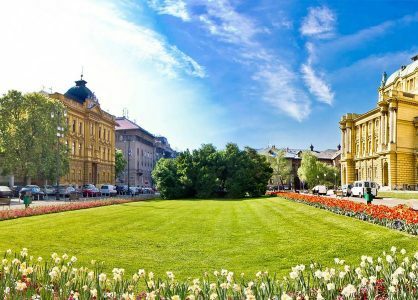 Whether you want to explore the impressive history and culture, relax and meander, or get involved in fun activities, you’ll easily find fabulous things to do when you spend time in Zagreb. 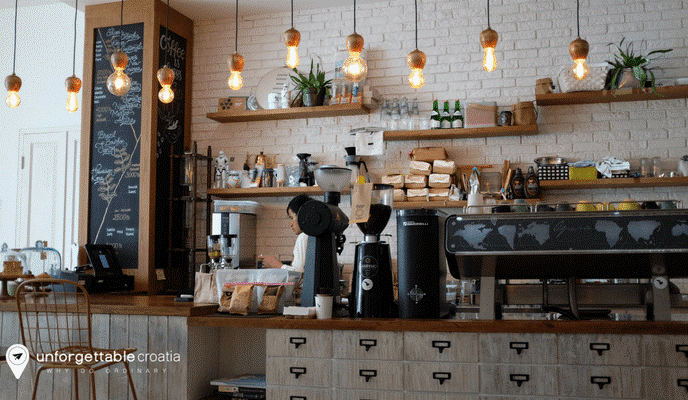 Croats are among the biggest coffee drinkers in the world. This isn’t because they rely on the caffeine kick to feel energised. Croatian people just love to socialise. 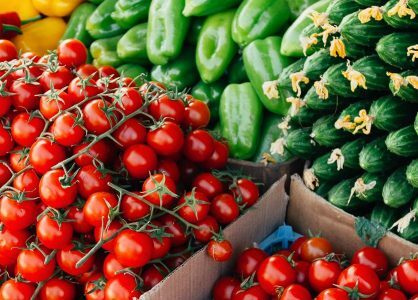 Head for Bogovićeva Street, on Saturday, to experience peak time café culture. The Velvet Cafe (Dežmanov prolaz 9) and Kava Tava (Britanac 1) are popular chic hangouts. 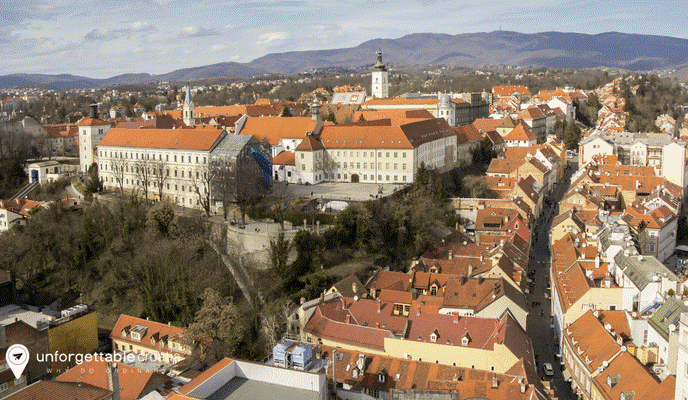 Walk along the meandering narrow alleyways of the Upper Town to experience what life was once like in Zagreb. To add to the charm, in the evening the courtyards are lit with flickering vintage gas lamps. Known as the Stone Gate, the mystical shrine to Virgin Mary can be found at the top of Radićeva Street. You can join the locals in silent prayer or light a candle as a blessing. 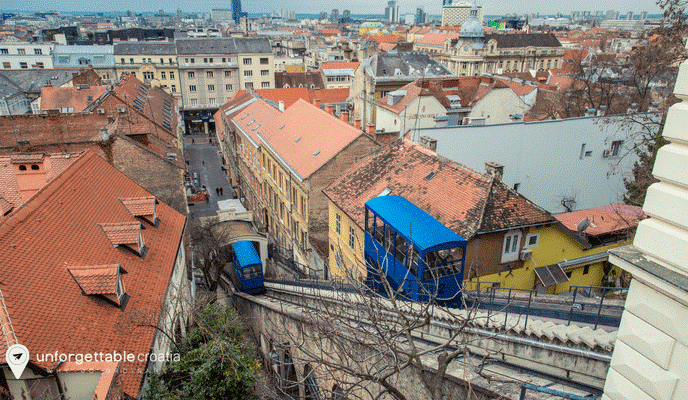 Hop on the 19th century Funicular to enjoy the world’s shortest cable carriage ride. In 64 seconds the journey covers the length of 66 meters and offers fabulous views along the way. 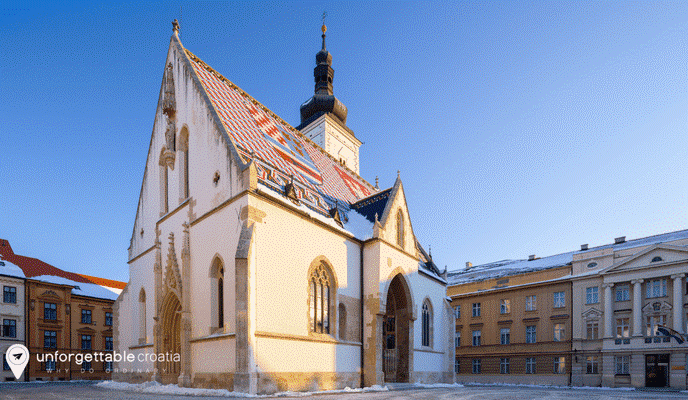 Admire the distinctive red-and-white checkered tiles on the roof of St. Mark’s Church. Inside you will find artwork by the famous sculptor Ivan Meštrović. Strossmayer Promenade is the only tree-lined street in Upper Town, and the perfect place for a romantic encounter. The Gradec Plateau is home to St. Catherine’s Church. It also boasts the most impressive views of Zagreb Cathedral. The Neo-gothic Cathedral was built in the 13th century but was destroyed by the 1880 earthquake. Its majestic restoration is the work of the famous architect Herman Bollé. Begin your expedition in Zrinjevac park. Head to the Croatian National Theatre situated half way around the U-shaped Lenuci’s Horseshoe trail. Stop off at the Botanical Garden to explore the serene oasis, the English-style arboretum and lakes, and more than 10,000 plant species. Zagreb’s distinctive architecture is proudly displayed on every street corner. Check out the Art Nouveau houses on Masarykova Street and the Meštrović Pavilion. 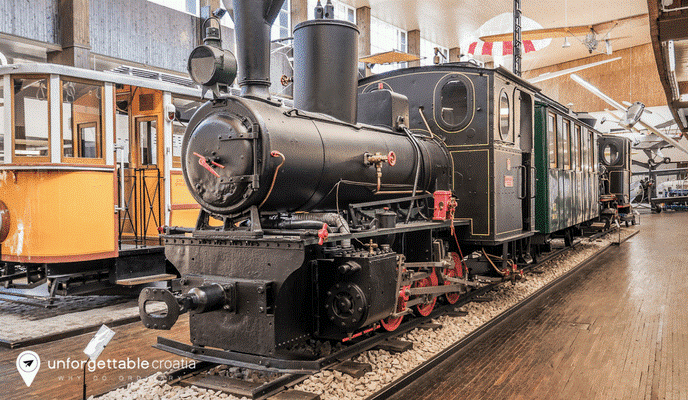 Discover what the magnificent city was like in ancient times when you pop into Zagreb’s City Museum. Learn all about the curious history of Zagreb’s witches that were burnt at the stake. Art lovers can admire the work of self-taught peasant painters at the Museum of Croatian Naïve Art. Look out for the work of Ivan Generalić, Mirko Virius and Ivan Rabuzin. There’s a fantastic replica of Nikola Tesla’s lab in Zagreb’s Technical Museum. You can learn about Tesla’s greatest inventions and take part in the experiments. At the Museum Of Illusions you will be mesmerised and entertained by all kinds of tricks. Magnify and multiply yourself in the mirror room. Take a refreshing dip in Jarun’s small or big lakes. If you’re really feeling active you can make good use of the 10 km of walking and cycling trails. 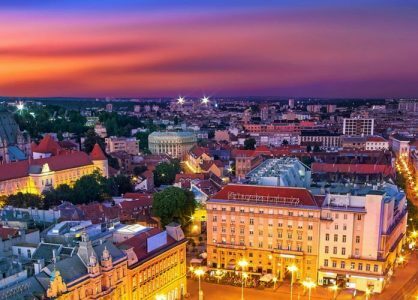 Combine a trip to Zagreb with one of our fantastic Croatia cruises. Our fleet of small cruise ships are luxurious and accommodate a maximum of just 40 passengers. An Croatia island-hopping cruise aboard a small cruise ship is a truly unique and intimate way to see the real heart of the country.